Army SFC Clifford Beattie died May 22, 2011 in Baghdad of wounds suffered when enemy forces attacked his unit with an improvised explosive device. PFC Ramon Mora, Jr. was also killed that day. SFC Beattie was on his third tour in Iraq. Cliff was born January 3, 1974 in Tempe, Arizona. In his youth, he was committed to the Boy Scouts and received the coveted Eagle Scout Rank in 1992. Cliff graduated from Medical Lake High School that same year. He was widely known as a courageous man and vivacious leader. He was an avid fisherman with an infectious smile, a memorable sense of humor and, often, a prank up his sleeve. Cliff enjoyed watching NASCAR racing, playing soccer, and spending time with his kids. Within the last few years of his life, he became involved in the “Bringing Children Home Charity”, a religious charity dedicated to assisting families in need of financial support in local, national, and international adoptions. After enlisting in 1994, Cliff served proudly in the U.S. Army for over 17 years. “He loved the Army,” said his mother, Rhonda. “This is what he wanted to do. When he left the first time, I said ‘Cliff, why are you doing this?’ And he said ‘Mom, first off, it’s my job. But secondly, I’m doing it for you and dad, for my sisters, for my wife and for my kids … I want you to have a safe place to be.” Rhonda concluded that while his steadfastness may have been tested at times, Cliff was brave and never gave up on anything he set out to do. 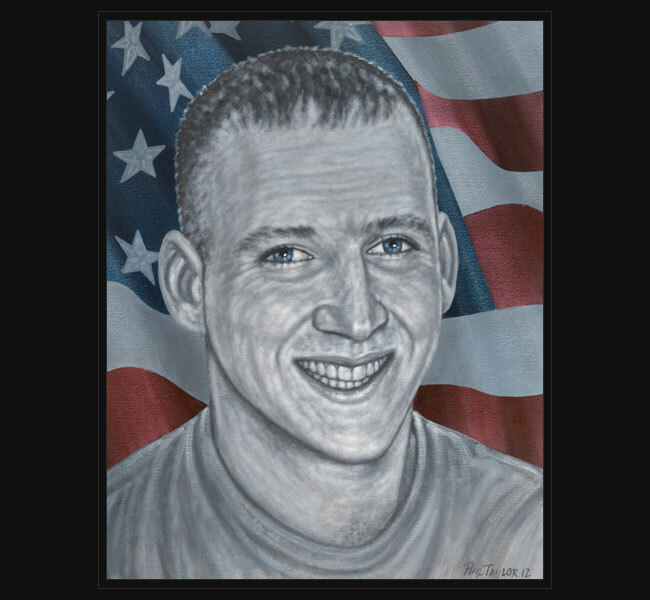 SFC Beattie was posthumously awarded the Bronze Star, Purple Heart, and Iraqi Campaign Medal Star. He is survived by his parents, Rhonda and Victor Beattie; wife, Karen; two children, Jaydean Hamilton and Dale Beattie; three sisters, Misty, Anna, and Jamie; and grandmother, Florene Beattie. Original portrait was presented May 22, 2012 to his parents during a special event hosted by the Veterans Administration and held at their Washington, DC headquarters.